Live every day as if on a family excursion, ahead of the noise and pollution of big cities. Breathtaking views of the green surroundings help you relax, it’s just what you need to break away from a mundane lifestyle. Hero Haridwar Greens in Haridwar is bounded by exquisiteness both inside the homes as well as outsides of the houses. Its luxury living options in the configuration 2, 3 & 3 BHK Deluxe Apartments and Penthouses come with large windows, sit-out decks and imported marble flooring. It’s just as exquisite outside, where a playground, swimming pool and gymnasium help keep you charged up. This residential project truly presents extra luxury per inch than anything else you’ve seen. Haridwar, over the years has risen exponentially to appear as one of the most progressive area. 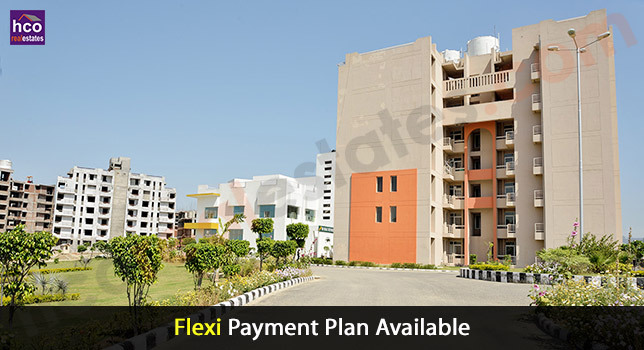 This residential project located strategically in the heart of Haridwar, Near Jawahar Navodya Vidyalaya, Roshnabad enjoys unparalleled connectivity to key residential and commercial zones of the city, with every achievable standard of living facility at your reach – retail stores and theaters, schools & colleges as well as best medical facilities. And with many large industrial and commercial setups in the neighborhood, come home for lunch is a distinct possibly. No sign of pollution, no indication of clamor. If you desire a quick escape from the town on holidays, even the Delhi - Haridwar highway is just couple of minutes’ drive away! At this point, you hold a luxury new life altogether. Your homes spot the premium fittings & furnishing, with eye catching views of the surrounding. Every free time activity and whim is expected and provided for. From indoor & outdoor games to kids play area - Hero Haridwar Greens offers you a higher living experience bar none. To summarize this long story, you have been in search of a home where just everything is available under one room! You will find that home at Hero Haridwar Greens.